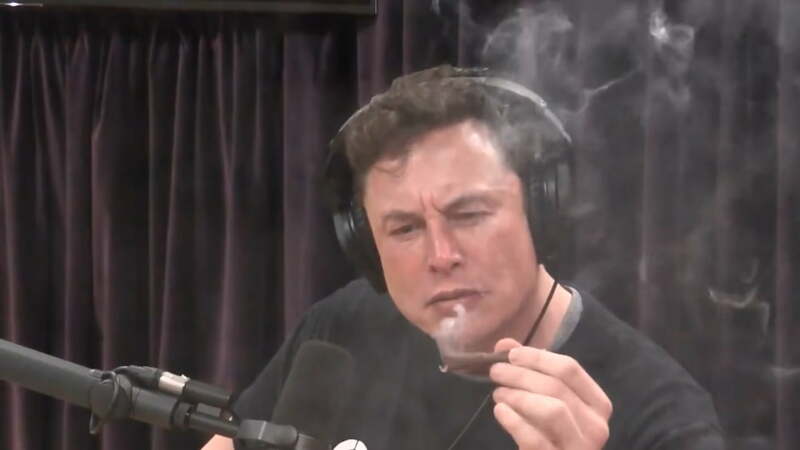 NASA has prohibited Elon Musk from smoking weed or drinking whiskey during future podcasts. It is concerned that other employees might get influenced. The flamboyant billionaire came under a lot of scrutinies when he appeared on Joe Rogan’s podcasts a few months back. So what if Elon Musk acted a bit mischievously. Many of his fans cheered for him when he smoked weed and drank some whiskey during the podcast, for the whole world to watch. But NASA was not impressed. According to NASA administrator Jim Bridenstine, the SpaceX CEO promised him he would not behave inappropriately in public again. NASA has every right to be furious since Musk is heavily involved with many space projects in collaboration with the space agency. Boeing and SpaceX have been contracted to engineer transportation systems for NASA to fly its astronauts into outer space. Speaking with reporters at NASA’s headquarters in Washington, D.C., Bridenstine remarked that Musk’s behavior was extremely irresponsible. Washington Post broke the story that the space agency would be conducting a thorough investigation of workplace culture at both Boeing and SpaceX. This sudden but necessary step was taken due to the incident at Joe Rogan’s podcast. NASA did not outright say why it deemed it necessary to conduct the investigation. It did however subtly comment that it was interviewing to check if the employees were sober during office hours. According to NASA, the investigation was carried out to prevent tragedies and avoidable disasters. NASA has a dark history of disasters that it faced over the decades. These include the Apollo 1 fire breakout in 1967 that killed three astronauts, and the Challenger (1986) and Columbia (2003) Space Shuttle disasters which together killed 14 people. Now technical difficulties could have been the real cause of the disasters, but NASA refuses to rule out human negligence as the reason for the tragedies. NASA’s 2013 contract with Boeing and SpaceX clearly stated the space agency’s stance on drug use. So any controlled substance or alcohol, violating federal or state laws was deemed as a big no. Considering all these points it is quite understandable why NASA was critical of the South African billionaire’s actions. Even though California (where the podcast took place) has made weed legal, Musk’s actions might not have gone well with his superiors. They might have been considered too risqué in NASA’s eyes. Obviously, one person’s actions do not equate to a whole company having the same mentality. Musk’s actions could be taken for granted by SpaceX employees. NASA doesn’t only have to worry about one man or his employees; it has to look out for the entire agency and its astronauts.